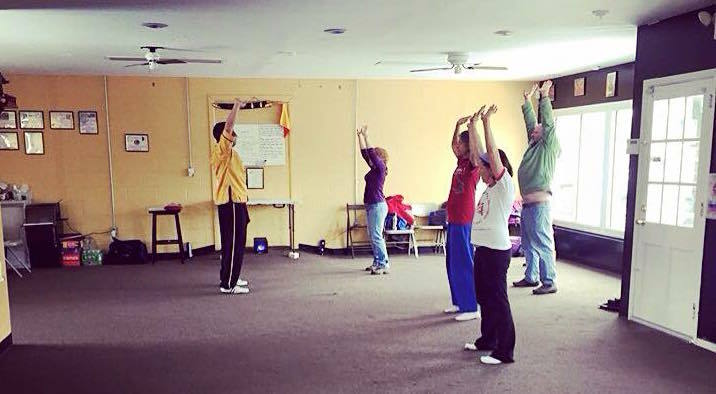 Shifu Mack teaching the first posture of the Ba Duan Jin Qi Gong, Two Hands Hold up the Heavens (Shuang Shou Tuo Tian). Kung fu isn't about breaking boards. It isn't about breaking bricks. Kung fu is an art of movement--rising, falling, turning, and circling. Are Kung fu and other traditional Chinese martial arts beneficial to your health (beyond their self-defense applications)? Of course! Northern Dragon style Kung fu is related to Tai Chi, which means Grand Ultimate--in other words, Tai Chi is the grand ultimate martial art. The benefits derived from the soft, internal style of Tai Chi can also be realized through the practice of Northern Dragon style Kung fu. "*When used to supplement traditional forms of treatment, it helps prevent and fight disease. *It's as beneficial for the mind as it is for the body. *It can help you age gracefully. *It can teach you how to slow down -- and how to let go. Shifu Mack instructs basic techniques of the Ba Duan Jin Qigong. 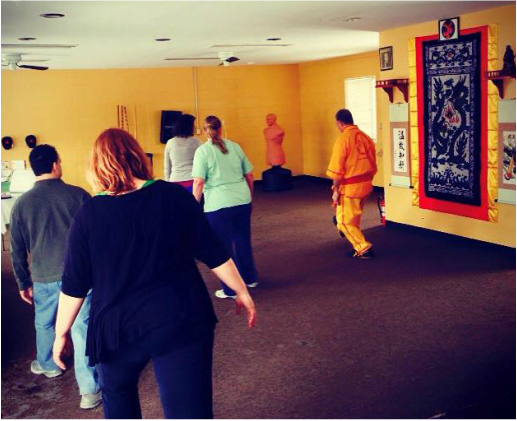 SiGung McCoy teaching the stepping pattern of the Yang style Tai Chi form at the Flemington campus. SiGung Rex McCoy teaches Yang style Tai Chi and runs Tai Chi seminars at the various campuses of Shaolin Kung fu Institute. SiGung also runs Shamatha Gom meditation courses. 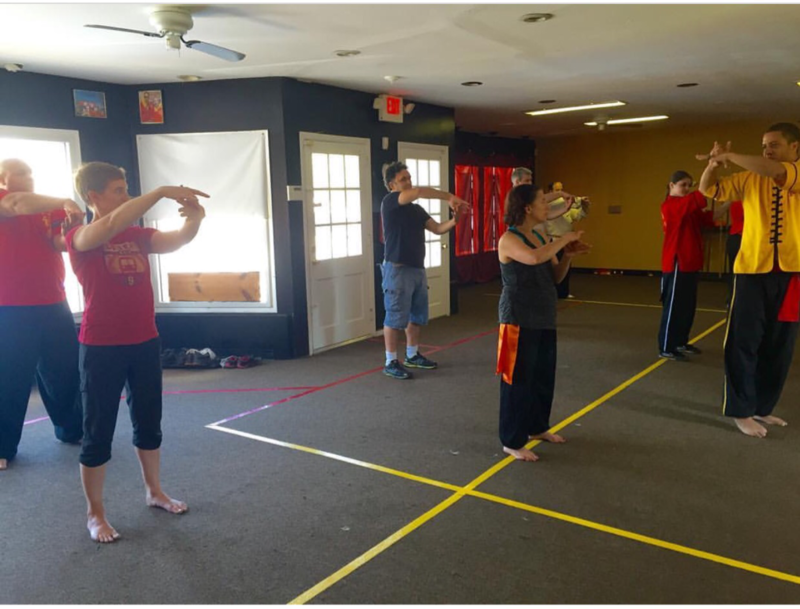 Shaolin Kung fu Institute Flemington offers classes in the internal arts of Qi Gong and Tai Chi. Qi Gong (Chi Kung) is energy work. It is a form of standing meditation. Qi Gong develops and cultivates the chi (life energy) that exists within all of us by focusing on breathing and motion to promote health through the circulation of chi through the inner organs and throughout the entire body. There are may types of Qi Gong; we study the Eight Piece Silk Brocade (Ba Duan Jin) Qi Gong exercise. Click to Request More Information!